Instead of taking a synthetic Aspirin, which can have toxic side effects, here are 11 Paleo-approved alternatives. Many people take a daily Aspirin for heart health, some to ease pain and others even for a pre-workout to aid circulation. However, routine aspirin intake can lead to a variety of problems, including gastrointestinal bleeding and increasing the chances of cardiovascular disease. Furthermore, high doses of aspirin and other NSAIDS (nonsteroidal anti-inflammatory drugs) can lead to Salicylate poisoning, which can lead to nausea, vomiting, tinnitus, and even convulsions. Additionally, most over-the-counter drugs contain heavy metals like aluminum, mercury and other highly toxic substances that are damaging to the body in a number of ways. This is because mercury can be deposited into the thyroid, adrenals, kidneys, liver and other organs, which can cause dysfunction in all of them. One study shows that aspirin actually increases the toxic side effects of mercury poisoning. The study compared fish that were intoxicated with mercury and treated with aspirin to those where were not. The results showed significant increases in mercury concentration in the blood of fish treated with aspirin. Furthermore, aspirin consumption can increase bad cholesterol levels, ALT and AST levels, which can poison the liver if exposed to any mercury, which is commonly found in other over the counter drugs and vaccines. When in doubt, stick with Mother Nature for your healing necessities. Nature has it all figured out for us and some of the most powerful medicines are available to use via natural foods and healthy habits that can be encouraged by adopting a Paleo lifestyle. Despite popular opinion, our bodies do have the ability to self-heal, without the need of industrial drugs. There are specific things can we do to remedy inflammation and improve cardiovascular health in a holistic way. Keep in mind that the more dominant influences of overall health such as diet, sleep, stress levels and exercise are going to be senior to the more specific alternatives here as the list goes down. 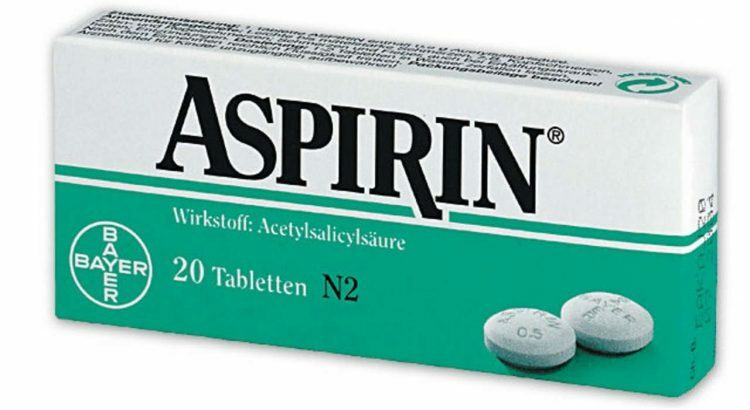 If we look at the conditions that one would use aspirin for as a remedy we mostly see inflammatory issues, pain, blood-clotting, healthy blood flow. The good news is that all of these things can be achieved naturally, specifically with an anti-inflammatory diet and lifestyle. With the diet, our goal here is reduction or elimination in inflammatory foods, improved digestive function and a consumption of the essential nutrients that will produce healthy blood flow and reduce clotting. The optimal diet? A Paleo-based diet. If you’re coming off a junk-food diet, then the starting point is simply a whole foods diet. We can take it a step further though a more refined Paleo template, even going toward an autoimmune Paleo protocol, removing all potentially inflammatory foods such as nightshades, eggs, and even nuts and seeds. A Paleo diet is going to be a wonderful replacement of aspirin from both ends as it is low or void of inflammatory foods like polyunsaturated vegetables oils, refined sugar, refined grains and processed foods in general. A standard Paleo diet is rich in nutrient dense foods and healthy omega-3 fats that attribute to healthy hemodynamics, which is the act of pumping blood flow for circulation, cooling inflammation all around good blood circulation. Another important factor of a diet is going to be emphasis on omega-3 fatty acids. Be sure you are getting adequate amounts of anti-inflammatory fats into your diet found in pastured egg yolks, wild caught salmon, grass-fed ghee and wild greens like purslane. These fats are highly anti-inflammatory and also have anti-clotting properties. Studies have shown omega-3 fatty acids to provide treatment for periodontitis and type 2 diabetes. To get enough omega-3, be sure to consume roughly one pound of wild-caught cold-water fish like herring, sardines, mackerel, salmon or anchovies. These are going to have the highest levels of omega-3 EPA and DHA. The only vegan source of omega-3 that is at all bioavailable would be fermented spirulina or large amounts of wild greens like purslane and dandelion. You may also consider a fermented cod-liver oil, krill oil or vegan algae. Hemp and chia seeds contain omega-3; however, they must convert in the body rendering less bioavailable compared to wild-caught fish sources. Some seaweed contains low amounts of omega-3s as well. Yes, quality, raw dark chocolate can have wonderful anti-inflammatory, antiplatelet and anti-clotting effects similar to aspirin. Cacao is a truly magic food. It is also known as Theobromine, which translates to “food of the Gods” and for good reason. Its health benefits go beyond the ones mentioned, it’s rich in polyphenols that feed healthy gut bacteria, improve mood and act as an aphrodisiac. A few studies show the association of cacao consumption and a decreased risk for cardiovascular disease. The study found that the polyphenols in cacao exhibit anti-inflammatory activity by inhibiting the production of pro-inflammatory cytokines that can lead to cardiovascular disease. Keep in mind that many of the polyphenols are lost during cacao processing, so your best bet is to go with a high-quality raw cacao. Common spices and herbs make for an affordable and easy-to-find alternative to aspirin. Surprisingly enough, you likely have some powerful anti-inflammatory medicine in your spice cabinet right now. While aspirin inhibits clot formation, it can actually lead to more bleeding by actually eating away at the stomach lining, causing ulcers. On the other hand, herbs like garlic, turmeric, and ginger can inhibit clotting without prolonging bleeding time. Garlic for example is highly anti-inflammatory and elicits powerful anti-oxidant properties and is a known blood purifier. Turmeric is another, which actually has thousands of studies showing it’s potent anti-inflammatory properties. All of these herbs are easy to get and affordable. Not only are they medicinal, they make for wonderful additions to meals in terms of flavor. This antioxidant and polyphenol – found greatly in red wine – has antithrombotic effects. However, studies show resveratrol supplements are far weaker than getting it from whole food sources like quality organic red wine. Also, it’s even suggested that long-term use of the supplement can cause side effects such as chronically down-regulating inflammation pathways. You can increase the effectiveness of resveratrol by taking 100 mg of Pycnogenol with it. This extract of pine bark is actually capable of reducing platelet aggregation just as good as aspirin without the negative side effects of aspirin, such as increased bleeding. You also don’t have to take it very frequently either. 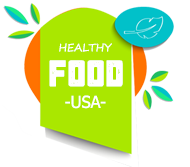 You can find it easily at health food stores or Whole Foods. It also has anti-inflammatory benefits, so it’s dual functioning as an aspirin alternative. Do not underestimate the power of the mind, as mental considerations and how we see things directly determines how we will respond to situations. Stress is usually at the root of most health concerns as chronic stress can suppress the immune system, which essentially makes everything in the body function less than optimally. And as we are beginning to see, psychological stress is a major cause of heart problems. One particular study demonstrates the positive benefits yoga can have on reducing blood coagulation. This may be a result of both the act of physical movement, which can positively influence blood circulation and also the positive effects yoga can have on calming the mind and stress response. Swap that aspirin pill for some quality arginine – which can be found largely in chicken, turkey, nuts, seeds, and raw cacao. If choosing to supplement, I suggest Dr. Mercola’s time-released L-arginine. This amino acid is a vasodilator capable of producing arterial dilation, which expands the arteries and keeps them from shrinking. It does this by producing a short-term release of nitric oxide, which activates when needed to keep blood cells flowing freely and free from stagnating and clotting, it also allows for coagulation when fitting. This nutrient is essential for healthy arteries. It works by balancing calcium in the body, keeping it from hardening or calcifying artery walls. K2 gets calcium out of the blood and into the bone where it needs to be. When looking for K2 be sure to get vitamin K2, as there is also K1. The best sources are going to be food sources like raw grass-fed butter, raw cultured vegetables, raw grass-fed milk and natto, which is a fermented soy bean. This wonderful herb has been used for centuries in Traditional Chinese Medicine. It is most commonly consumed as a warm tea; however, it can also be made into tinctures and extracts. Keep in mind a tincture or some form of extraction is usually far more potent than a simple tea. Hawthorn berry is works similarly to arginine acting as a vasodilator, which opens the arteries and capillaries. Consumption of Hawthorn can strengthens the muscles of the heart muscles and maintains a healthy heartbeat. Also known as Rice Bran Soluble, these fluffy, creamy and delicious soluble come packed with nutrition. They are particularly rich in naturally occurring sources of vitamin E, B-vitamins and amino acids. I highly recommend getting a high quality product like Sunpotion’s Tocos, which will act as a natural anticoagulant with plenty of wonderful benefits such as healthier hair, skin and more. Not to mention, it tastes like a sweet vanilla ice cream! This is one of the most critical minerals to heart and overall health. Most people are actually deficient in magnesium due to depleted soils and high levels of stress, which drains magnesium stores. It is essential for supporting a regular heart rhythm and it also helps prevent calcification of the arteries by removing balancing calcium level in the body. The best sources of magnesium can be found in raw cacao, almonds, and pumpkin seeds. You may also enjoy a product called CALM, which is a tasty Magnesium Citrate.